First Aid Kit call hearts home to be healed on their fourth album ‘Ruins,’ an emotionally-charged record rallying towards redemption. A well-stocked first aid kit includes supplies necessary to solve a wide range of physically threatening problems, from small bumps to traumatic emergencies. As long as supplies are replenished when diminished, you’ll have a good shot at survival, come what may. For emotional bumps and bruises, however, there is another kind of First Aid Kit. A folksy musical duo, consisting of the Swedish born Söderberg sisters, Klara (vocals, guitar) and Johanna (Yo-hana) (vocals, keyboards, Autoharp, bass guitar), First Aid Kit (the band) shares many properties with its more physically utilitarian homonymic counterpart. While impossible to confine to a box atop your linen closet, the duo are an available life saving tool nonetheless. Offering an assortment of sighing soul salve and splints for the woebegone broken heart, First Aid Kit, self-replenishing in nature, offer a necessary part of surviving an assortment of life’s ups and downs. Pinning their worldwide YouTube debuts in 2008 with an epic cover of Fleet Foxes’ song “Tiger Mountain Peasant Song,” the euphonious Söderbergs offered their soaring swells with glee from a forest near their home in Sweden. Since this performance, First Aid Kit have put out 4 albums of original music. 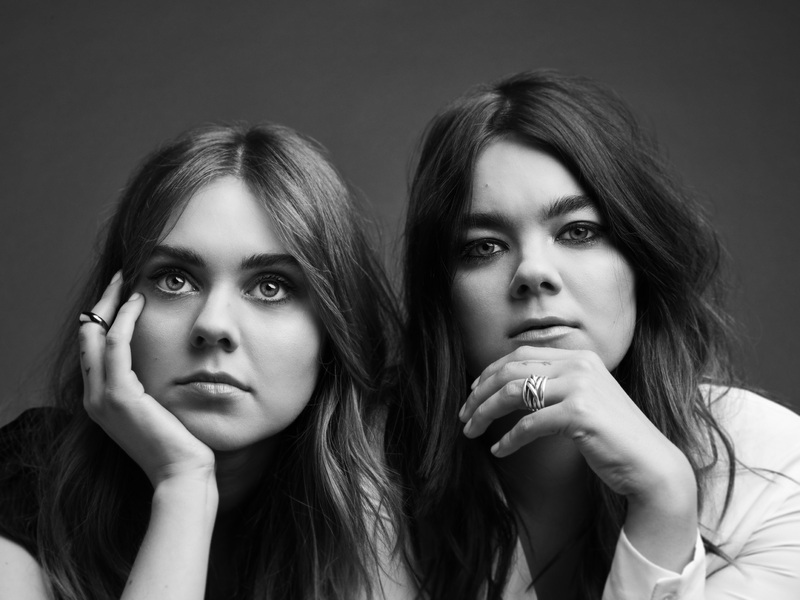 Inspired by the likes of Emmylou Harris, First Aid Kit has been lauded for their vintagey sounding “Americana” style. However, looking into the musical and cultural history of Klara and Johanna’s Swedish homeland, calling their sound “Americana” seems rather US-centric, narrow minded and a bit flat. First Aid Kit’s unique swoon deserves its own, more geographically specific, genre. A suggestion: In Sweden, there is a tradition of Kulning (Jonna Jinton), or singing for cattle to call them home for the winter. Its sometimes high-pitched and always ethereal, loving, melodious mantra tells the beloved herd, “Yooo hooo, it’s time to stop roaming, come back and let us protect you during the cold, dark solitude of winter.” Which is why the moniker of “Kulnicana” suits First Aid Kit like a Swede donning Sverigedräkten on Midsummer’s Eve. Especially clear in their fourth and latest album, Ruins (released January 19, 2018 via Columbia Records), written on the back of the uprooting break-up of Klara’s engagement, it’s no wonder the girls wrote songs in their comforting Kulnicana style, calling hearts home to be healed. While listening to title track “Ruins,” it’s easy to imagine Klara and Johanna standing in a gracefully blowing field of grass, wearing beautiful flowing dresses calling us, their herd of the maudlin and melancholic, home to mend for winter. I lost you, didn’t I? Rich with emotionally-charged and self-reflective lyrics as in previous First Aid Kit albums, Ruins was shared from sister to sister in a slightly different way. This time, Klara and Johanna had to find the delicate balance of emotional give and take. Finishing up with a triumphant trumpet serenade, “Rebel Heart” helps us to pick up, dust off and march onwards, confidently into the future. And, finally, we have the “as it should be” moment at the end of the album with “Hem of Her Dress.” Eventually developing into a Pogues style hollerin’ hootenanny, “Hem of Her Dress” represents the final part of our break up grieving process: acceptance. Despite “Hem of Her Dress” representing the final stage of grief, it’s not actually the final song on Ruins. Appropriately placed as it is, everyone who has lost anyone will agree that the cycle of emotion never really ends. It just keeps going around and around, lessening it’s intense grip over time until one day you feel “Aiiiit” again. “Finishing an album with a somber, ruminating song results in the Sigh,” the sixth of eighteen album closing options according to Chris Kopcow (PopMatters). Ruins outro, “Nothing Has to Be True” certainly falls under this category. Sticking with the “Kulnicana” genre of calling our hearts home to heal, First Aid Kit leaves us with one last deep thought to keep us company on hard days. “Nothing Has to Be True” acknowledges the moment it becomes clear that even when you thought life was settled, the adventures aren’t over yet. And as unsettling as that thought may be, First Aid Kit make the chaos sound so right. With the perfect cacophony of fuzzy guitars and crashing cymbals over slide guitar and even some faint fiddles, this beautiful and mostly harmonious album ends in static. It’s the disorganized and darting sound of “what now?” Comforting in its honesty, an incongruous ending is true to life; we can’t predict what’s to come based on what’s already been. This is wisdom worth hearing, no matter your stage of life. 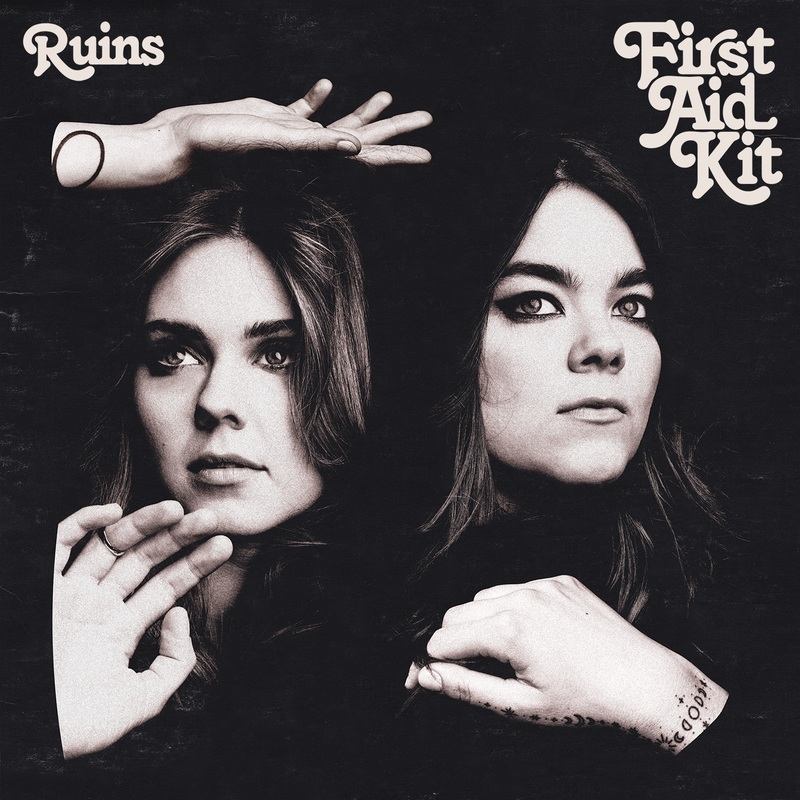 Give First Aid Kit’s Ruins a good listen: It may leave you feeling a bit confused, but just as in life, when the confusion sets in, just go back to the beginning and start again.